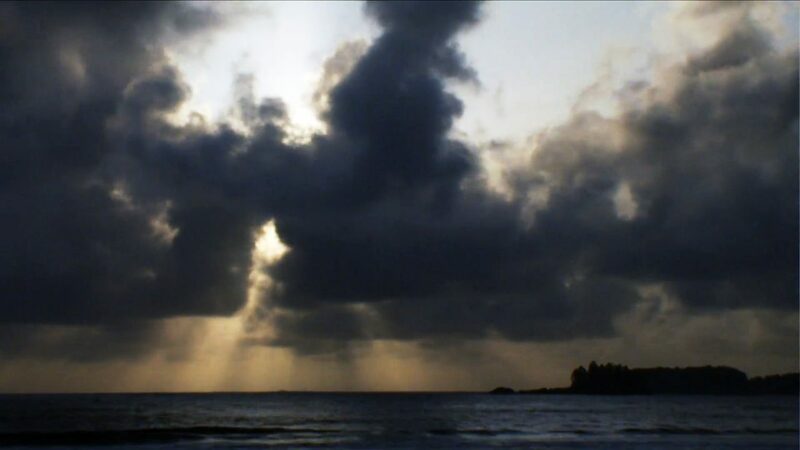 This is a guest post written by Laurence Desrosiers-Guité, NFB Education Specialist, and Dan Thornhill, Coordinator of Technical Support, NFB Education. The word “igloo” originates from iglu, meaning “house” in Inuktitut, the language of the Canadian Inuit. Written references to igloos date back to the 16th century. Inuit hunters used them as temporary houses during the cold and dark winter months. During the winter of 2011–2012, the National Film Board of Canada built an igloo—as an interactive installation for the public in downtown Toronto. 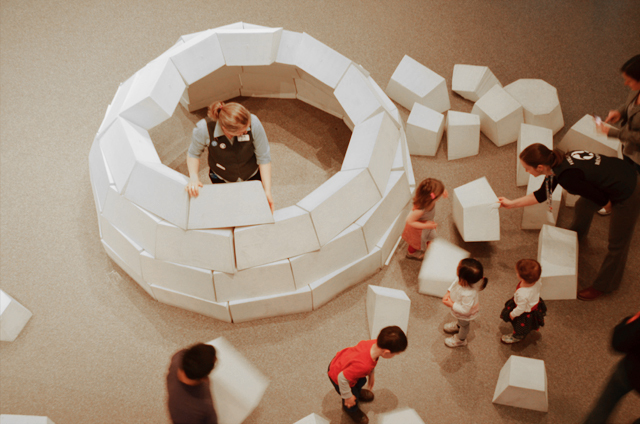 Over 2,500 people had the opportunity to help construct it out of precut Styrofoam, while watching Douglas Wilkinson’s classic NFB documentary How to Build an Igloo. This allowed for fun, hands-on learning, and let people imagine what it might be like to work with snow. A time-lapse video of the igloo being built played on a loop throughout the day. Once construction was complete, participants were rewarded with the opportunity to lie inside the igloo and watch clips from the NFB films The Northern Lights and It’s Snow projected onto the ceiling. Also, to mark the launch of the Unikkausivut: Sharing Our Stories DVD box set, selected clips from the compilation were projected onto individual “snow” bricks on the exterior of the igloo. 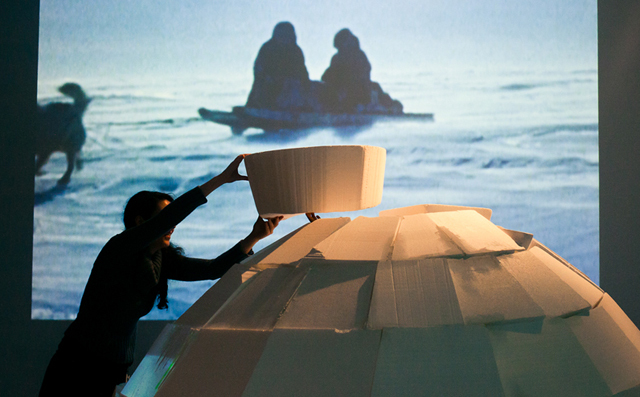 In April 2013, the Canadian Museum of Nature in Ottawa and the NFB partnered up for the Extraordinary Arctic festival and brought the Far North to the capital. The exhibition celebrated the 100th anniversary of the Canadian Arctic Expedition. 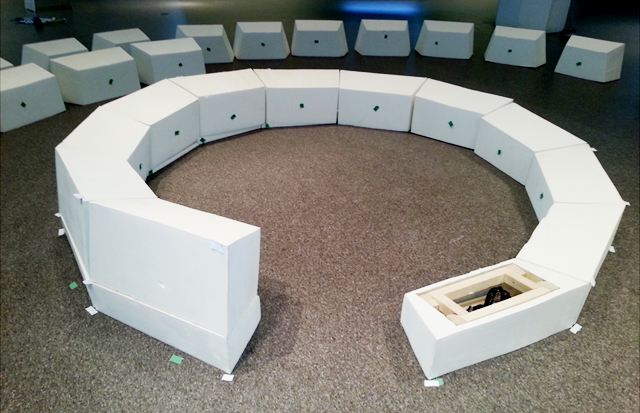 For this event, Dan Thornhill, Coordinator of Technical Support for the NFB’s Education team (and co-author of this blog post), designed a second and much more durable igloo made of flexible foam (polyurethane) coated with latex. Approximately 9-ft wide by 5.5-ft tall, it was like a giant toy. Each block was individually measured and then cut by hand, using a hot wire. Figuring out the inward lean required to arc the walls to the desired height was straightforward, as was figuring out the angles to cut the blocks to fit together on the bottom row. But once the bottom row was finished and the slope was cut, calculating became very complicated. It was tempting to skip the slope and build up row on top of row, but this model needed to stay true to the film, like a real igloo. Two qualified AutoCAD designers sat down with Dan, convinced they could help; but in the end it was too complicated to pre-plan all the angles. Ironically, How to Build an Igloo played continuously during construction, and you could hear the narrator (Wilkinson) saying: “Engineers and architects have found no better way of building an igloo.” The team discovered it was indeed easiest to customize each block in place, Inuit-style. The slope did prove to be key near the top, as each block gained support from the previous one and the one below. 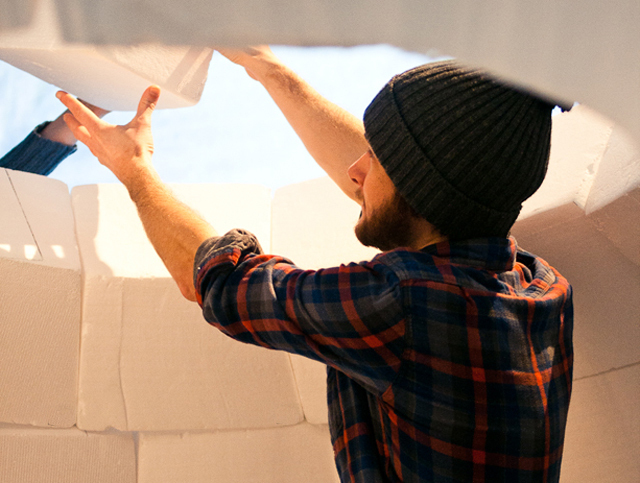 Building an igloo with foam was a slow process, so it was a little painful for Dan to hear “a single Inuit can build an overnight igloo in 40 minutes.” He often dreamed of being in 40-below weather on the west shore of Hudson’s Bay, instead of in a foam-filled room. Stay tuned for news of the Igloo visiting a location near you! I thought igloo making was easy but after watching this video , I found out that it was a time taking job with lots of precision and hard work and I also learnt how to make it. This reminds me of the igloo I built a couple of years ago on the seafront in West Sussex, England. We used washing up bowls to compact snow in as they already had tapered sides which allowed for the curve of the walls over consecutive layers. GREAT info. ! As Ret. USN SERE/P.O.W. Inst. I have had the opportunity to build several igloos in my 40 yrs. of survival ( plus snow caves, etc. winter shelters) – I attended the Arctic survival course THANKS to the Canadian Forces invite – Excellent training ! Also training in Sweden with 17 countries – great learning and comradeship by all. There was a company in Sweden whom offered a styrofoam igloo kit ( a set of perfect blocks for emer. shelter. Would you be able to direct me to a company who makes and sells such kits? I would like to have a small one for display in my school http://www.youwillsurvive.com here in Colorado, USA Mel Deweese, colomtnmel@msn,com 970-216-4178. Any plans to bring it to Vancouver? Hi Mark, no, unfortunately there are no plans to bring this project to Vancouver as of now. It will be in Ottawa in March though, and please check back on this blog and our education site (http://www.nfb.ca/education/) for developing info. A must see exhibit. Saw an incarnation of this in 2012. Amazing! Thanks! 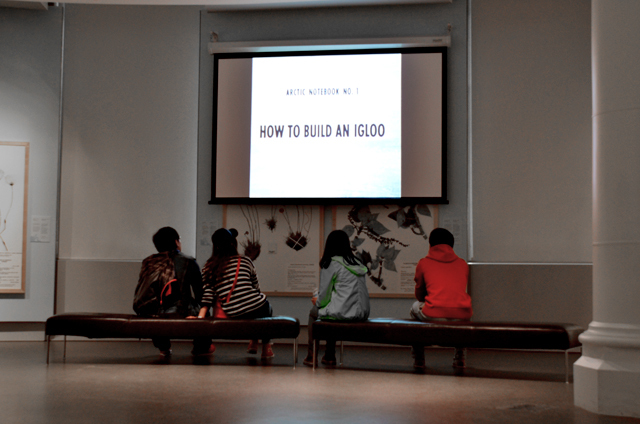 Hopefully many more people across Canada can experience the Igloo exhibit soon! Celebrate 2019 by bringing NFB Education into your classroom! 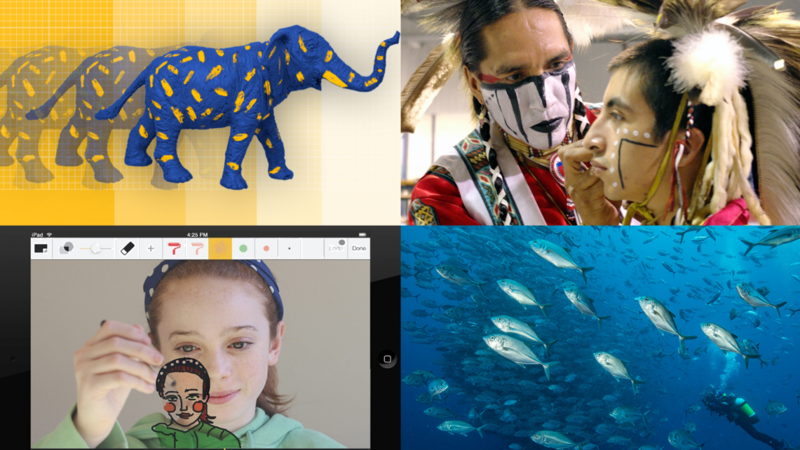 Discover everything NFB Education has to offer for you and your students! 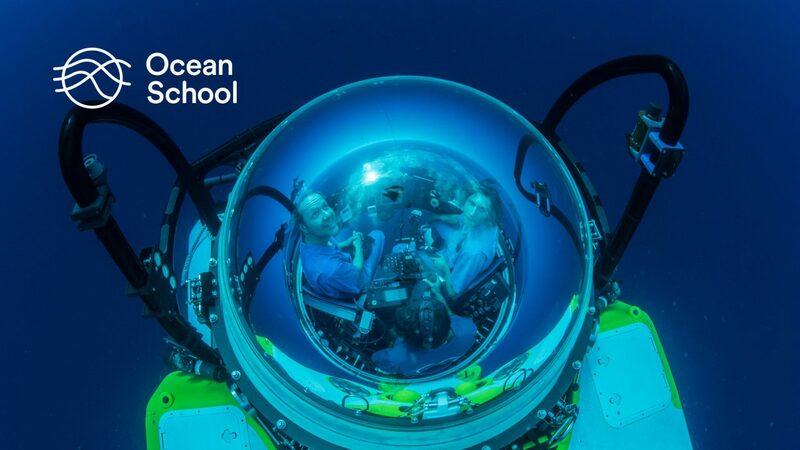 Ocean School invites young people on a journey of discovery that makes learning fun through projects that foster the importance of better understanding the ocean.